There is a more recent evaluation available for this judge. You can access the evaluation here. The Fifteenth Judicial District Commission on Judicial Performance unanimously (10-0) recommends that Judge Gary W. Davis BE RETAINED. 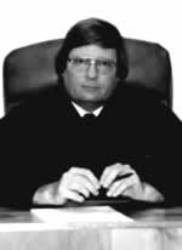 Judge Davis was born in Lamar, Colorado and graduated from Lamar High School in 1970. He received his secondary education at Wheaton College and graduated from the University of Denver College of Law in 1978. Judge Davis was appointed to the bench in Kiowa County Court in 1992 to serve in a part time position which is classified as a 20 percent full time judge. He also continues to maintain a part-time private law practice. A judicial performance survey was received by the Commission from attorneys and non-attorneys. The percentage of responses received from attorneys was 67% for retention and 33% for non-retention. The percentage of responses received from non-attorneys was 88% for retention and 13% for non-retention. (These percentages may not add up to 100% due to rounding.) Judge Davis received an overall combined average grade of 3.24 on a scale of 0 to 4. In addition to survey assessments, the members of the Commission received comments from a representative of the Office of the Public Defender, reviewed written opinions and orders rendered by Judge Davis, observed Judge Davis in the courtroom, and interviewed Judge Davis. Judge Davis is committed to constant improvement in his courtroom and to issuing sound legal decisions.